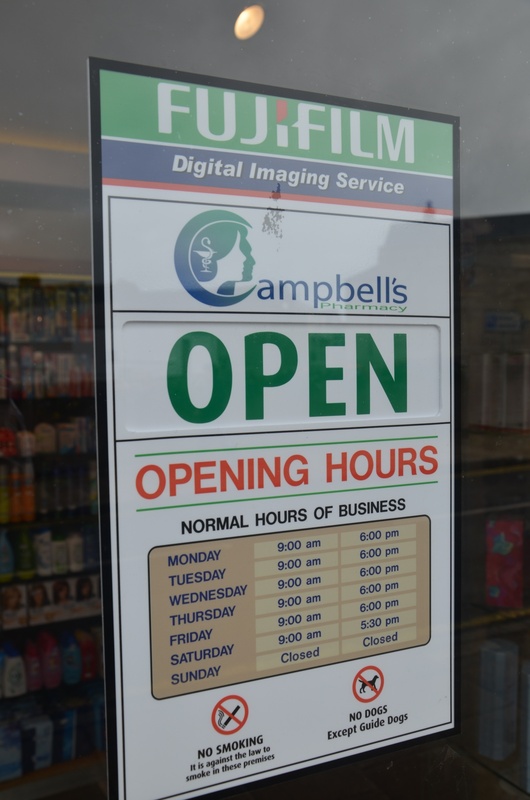 Campbell’s pharmacy has been serving the people of Portrush since 11th February 2002. Before this time it traded at the same location as James Lord Ltd ( Lord’s Chemist ), but on a smaller scale. Campbell’s pharmacy is a family venture owned by the Campbell family, managed and run by Vincent Campbell and as such we pride ourselves in offering a personal touch often lacking in today’s large multiples. Campbell’s pharmacy expanded back around 2004 to encompass the stationary shop next door, which had once been the old tram office. This was the reason we installed the unusual ceiling, which emulates a tram / train carriage roof. Located at 8-9 Dunluce street, Campbell’s pharmacy is easily accessible from the large car park adjacent to the Portrush Health centre. Campbell’s Pharmacy offers professional services of the highest standard, and our aim is to continually update and expand our services to benefit both the local population and the large number of visitors to the North Antrim coast.